Last week I began a strict diet, hoping to take off two recently added pounds. Unfortunately, I brought those two pounds home as souvenirs from Paris and didn’t want them to get used to hanging around. 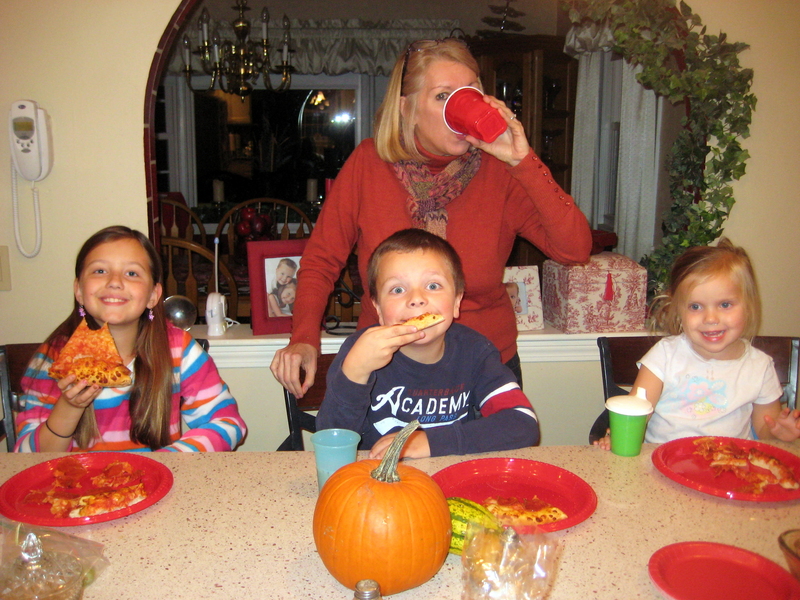 So, while the grandkids were over Friday night enjoying pizza and brownies – I drank my “smoothie. 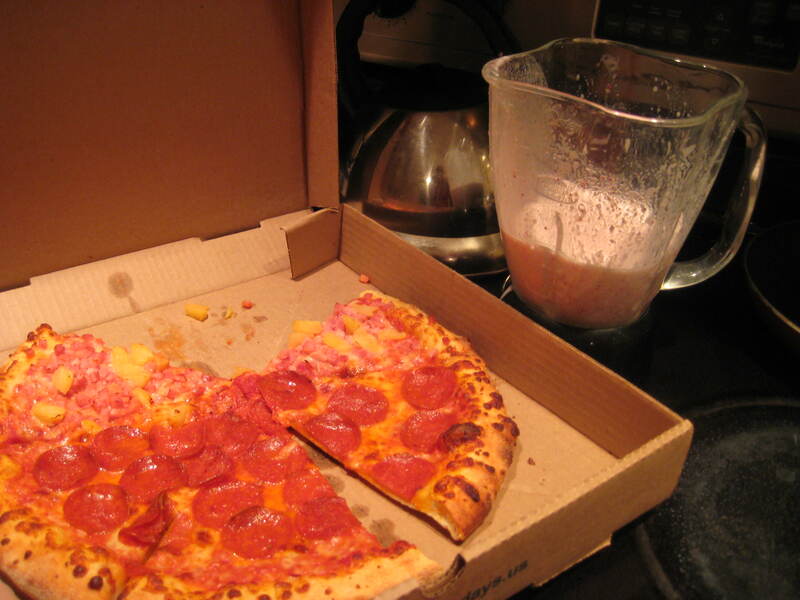 This particular smoothie contained nonfat milk, strawberries and some “proteinish” powder that did not taste terrible – but let’s just say it wasn’t pizza and brownies. As I made my smoothie and watched the kids eat slice after slice of pizza, I thought about the difference between these two foods and how they relate to the way “religion” is often viewed. (Call me crazy, maybe…but stay with me here.) I think it is often easy to view our lives like pizza. We slice it up in different compartments. One slice for spiritual activities (including prayer, Bible reading, time at church, etc. ); once slice for work; one for school; one for family life; one for leisure time, etc. – until we have a complete pizza. All the slices make up the whole. This might be a creative way to learn fractions, but it isn’t what God has in mind for our lives. While blending my smoothie I was reminded of a very basic and important teaching from Jesus in Mark 12:28-34. Our spiritual lives, in God’s plan, are to be all wrapped up together with everything that we do and think- sort of like a smoothie where all the separate ingredients are blended together to make something new and different . This way, everything we think and do is all mixed together with God flowing through it all – all our heart, all our soul, all our mind and all our strength. It may be a difficult fraction to explain (1 whole heart for God + 1 whole soul committed to God+ 1 whole mind devoted to God + 1 whole strength living for God= 1 complete disciple of Jesus) – but it works every time. This entry was posted in Uncategorized and tagged commitment, disciple, wholeheartedness by jeanieshaw. Bookmark the permalink.